No doubt you’ve heard it said: “Don’t believe everything you see in print. 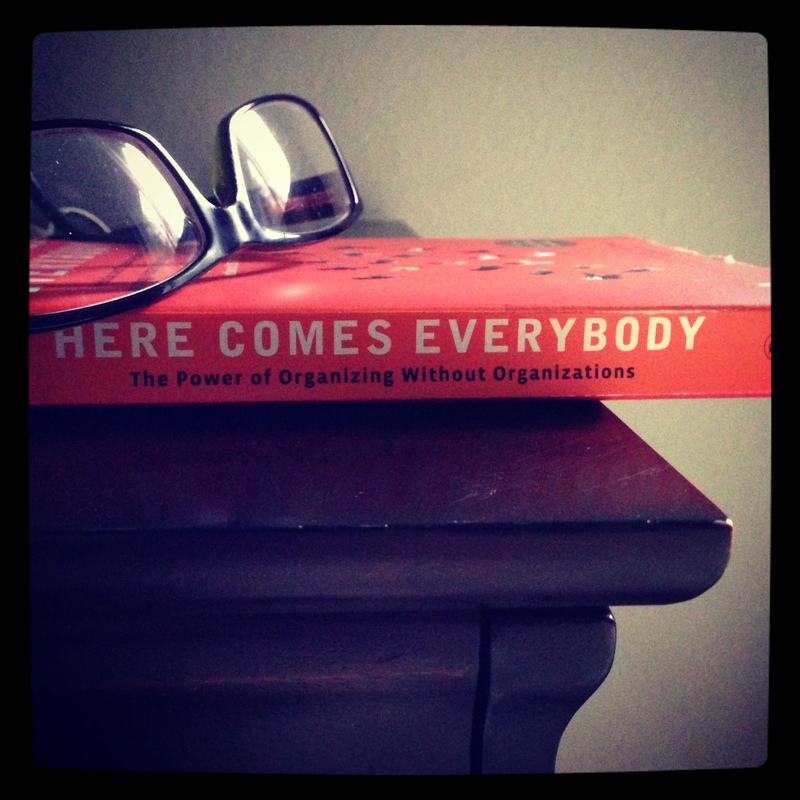 Just because it’s written down, doesn’t make it true.” That message was hammered home to me recently, while I was reading Here Comes Everybody by Clay Shirky. The world of publishing has undergone radical changes in the last ten years. Unfortunately, those of us who remember the way it used to be, have done little to revise the old-fashioned way we treat the information that we consume. A few months ago, I signed up for an account on WordPress online and selected a free blogging theme. I didn’t have to ask a real person’s permission – I just filled out and submitted a form. The message that you’re now reading cost me next to nothing to present to you, and it was very simple for me to put together. I haven’t consulted anybody else’s opinion (except my wife’s, of course. She’s an excellent editor) before pushing the “publish” button. I do hope you will engage your own sense of discernment before you act on the truth that I offer you. Likewise, most of what you read these days has to be considered carefully and sifted through your own common sense sniffer. Unfortunately, the very tools we think we’re using to filter are working against our individual abilities to discern. Did you know that Google provides you with different search results than someone else is likely to get? No. Really. Google is trained to follow your own biases, based on the things you’ve chosen from past searches. When you’re logged into your Google account on your computer, Google Web History is recording the links you click on that result from a search. The next time you perform a Google search, advanced mathematical algorithms “help you” by providing a customized set of results that are likely to reflect your previous personalized choices. So whatever prejudices you have, they’re likely to get stronger. Google will feed you a solid diet of what you chose in the past without letting you know there are other opinions. Do you think this may have repercussions on society? Ayup. So the next time you read something that stirs up anger and fear, take a deep breath and ask yourself how trustworthy you know your source to be. How does it relate to your personal experience or lack thereof? Do you know someone you can ask who is more reliable? 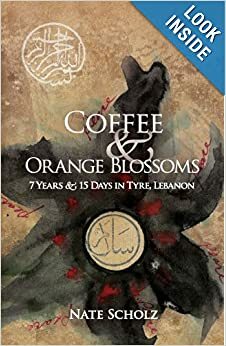 If you want a different perspective on what it’s like to befriend Muslims, read my book Coffee & Orange Blossoms: 7 Years & 15 Days in Tyre, Lebanon. Trust me. It’s good. Even though I published it entrepreneurially. Come on, it has to be good if you can get it on Amazon! …oh, and turn off personalized search if you want to think for yourself. Have you ever had such a barrage of misfortune that it felt like you were under attack from some unnamed invisible force? Next steps in life are often hard to take as immobilizing questions arise. Was it a test from God? …An attack from Satan? …Or, maybe just coincidental forces of nature? Let me tell you a story about how that happened to me one time in Lebanon. The phone rang and woke me up early in the morning. I waited for the extra ring so I could try to jumpstart my brain out of dream-mode. “I’ll be right there,” I said, and hung up. I was awake, grabbing clothes, throwing on the nearest pair of shoes. I was only a block away; I could get there quickly. Grabbing my keys, I flew out the door and down the stone stairway. Four steps above the first landing, my right foot caught on a jagged edge of broken marble and my ankle turned. I fell fast because of my momentum, but my memory always replays it in cinematic slow motion. I grabbed for the cement banister to brace myself. It kept me from falling completely, but the rough, painted concrete scraped my left forearm deeply. Denis had gotten up early that morning to exercise on the roof. On the hottest days of the year in Lebanon, even mornings were scorching. Denis usually spent his morning workout times in solitude and prayer, but Brenda had joined him that morning to enjoy the rooftop garden he had created in planters. Sit-ups… pull-ups… Push-ups… His workout was almost finished when Denis blacked out and collapsed. Brenda saw him fall. His head hit and shattered a ceramic pot on the way down. She ran over and swept away the broken shards. After ten agonizingly long seconds he came around. But when he tried to sit up, he passed out again, this time with convulsions. That’s when Brenda frantically called down the stairs to their daughter, and told her to call me. When I finally made it to the top of the stairs I found an emotional scene. Brenda had hosed down her husband to try to cool him off. Denis had regained consciousness, but didn’t feel like sitting up yet. Together, we laid him on a lounge chair in the shade. Fifteen minutes into the ordeal we came to the conclusion that Denis would be okay. He had heat exhaustion, but was recovering already. The cuts on his head were superficial. As things calmed down, we replayed our individual harrowing tales. I showed off my swollen ankle and raspberry forearm as trophies of my heroism, while Denis drank water and slowly came back to life. He asked for some electrolyte solution from their medicine cabinet that he remembered getting from the pharmacy. The label was written in French, and Denis was the only one of us able to read it. He quickly realized that the reason it didn’t taste so good was that it was not electrolytes for replenishing lost nutrients, but electric coffee pot cleaning solution. He had been merrily sipping on a glass of sulfuric acid! He drank milk to mitigate the harmful effects of what he’d ingested, and later we bought him some charcoal tablets that we learned would be good for the situation. In the words of one of my favorite childhood books, it had already been a “terrible, horrible, no good, very bad day,” and it was only 9:30 in the morning. After hanging out and sharing lunch with my friends, I hobbled back to my apartment to ponder on the spiritual influences behind the events of the day. Part of me thought that God was inflicting punishment on us for attempting to work against the curses he himself had put on Tyre. He goes on and on about it for almost three chapters in the book of Ezekiel (I had just been studying those passages). I didn’t want to believe that, because each of us had felt God prompting us to move there and bless the community. An attack from the enemy then? Not having a clear answer discouraged me. I’ve started asking God directly if I don’t have clear biblical precedent to guide me. “God, what do you want me to know about what happened today?” Then I stop and listen, with the expectation that God speaks to his children. I don’t hear an audible booming voice, but clarity comes as ideas formulate or pictures emerge. Do you believe that God can literally answer your questions in prayer? What do you do to make sense of the curve balls that are thrown at you in life?